Last May, I was invited by Le Meridien group to discover Le Meridien Family, a new programme launched to cater for the needs of family. 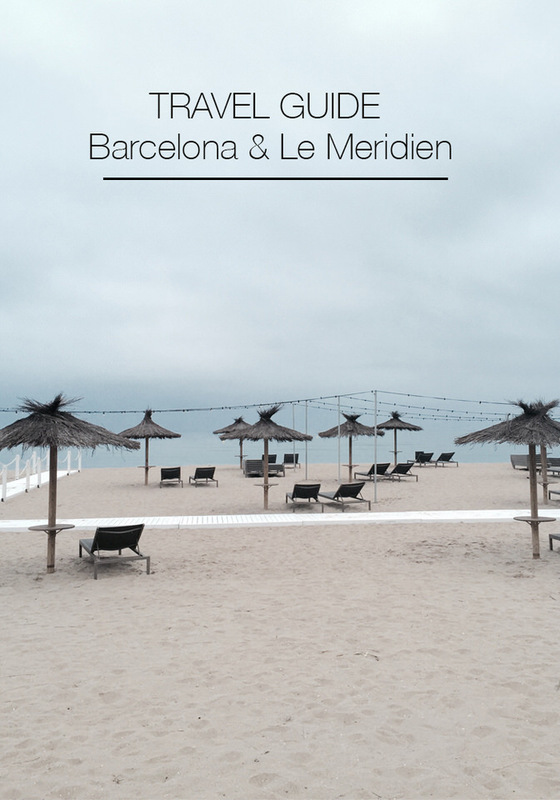 We first visited Le Meridien Barcelona, conveniently located on Las Ramblas and then Le Meridien Râ at the beach where we stayed for two days (pure bliss!). Having not been in Barca since Elodie moved back to Paris four years ago, I jumped at the opportunity to re-visit this beautiful and vibrant city in Catalona. There, I discovered that all the Meridien hotels have this Family programme and each of them is localised so in Barcelona, we had the chance to visit the recently re-opened Güell Palace, 5 min walk from the hotel and do a Trencadis workshop which I loved. Trencadis is the signature style of Gaudi, who would take glass and ceramic from nearby factories and transform them into dazzling mosaics. The family bedrooms and suites are huge and each includes a fabulous welcome kit that is bound to keep your children entertain for a few days, organic shower gel, snacks and sweets. The food for the children was most inspiring! Little shots of gaspacho in cute Flamingo glasses, mini bagels, little car sandwiches, mouse crackers, tortilla…I loved everything and it was so tasty too. Then we headed off to Le Meridien Râ in El Vendrell, which is a beautiful, impressive, modern hotel next to the beach. All our bedrooms had an amazing view on the beach and the palm trees…just superb! View on the basin View on the beach Eve and I spent a few hours in the spa which was fantastic. Located on the top floor of the hotel, the spa opens up on a large terrace with view on the beach. There is plenty of activities for children (see below) and it’s important to note that all these activities are free to the guests on Monday, Wednesday and Thursday but you need to book them in advance to secure a place rather than on your arrival. And for the teens…3D design and printing workshop, sailing and paddle surf lessons, scuba diving initiation classes, mobile filming and editing workshop, Spa teenage treatments (mani-pedi, cocoon, etc.) and beach volley and football/soccer. In all honestly, booking a holiday in an hotel wouldn’t have been first on my mind, simply because I like the independence of being in a private house and as much as it’s nice not to have to cook or clean, sometimes it gets a bit boring to eat at the restaurant every night. We half boarded in a 4**** hotel the first three years we went skiing with Mila and some nights we would have been quite happy to eat something light and to chill out at home but the food at Le Meridien Râ was great, very tasty and gosh…the bed was not only massive but extremely comfortable, the kind of comfort that you only get in a 4 or 5***** hotel. The upsides are that there is no cleaning, no cooking, plenty of activities for the children (the kid club is really well done – see Eve’s article here and Marjorlaine’s here), the beach is opposite the hotel, the spa is fantastic and I found the team at the Meridien Râ extremely warm and friendly. Having visited two hotels, I think the ideal scenario for me would be to spend 2 or 3 nights at Le Meridien Barcelona to explore the city and then head to Le Meridien Râ at the beach to chill out. Price wise, a bedroom for 4 people half board is between 300 and 400 euros which is about the same price as the Club Med so not for all budgets but if you can afford it, you won’t be disappointed by the service and prestations.